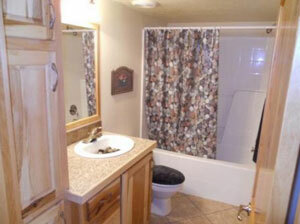 Offers everything you would need for those times to get away. 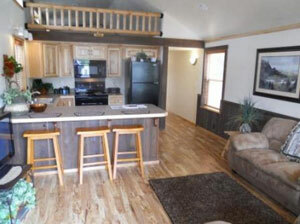 Laminate flooring with wood interior wainscoat in the living room add to the rustic feel of this home. 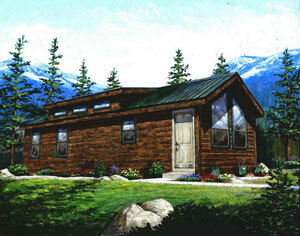 Great Mountain cabins, second homes, vacation homes, this modle has 2 bedrooms and a loft for storage, and is available with or with out the optional porch. 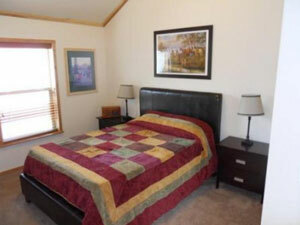 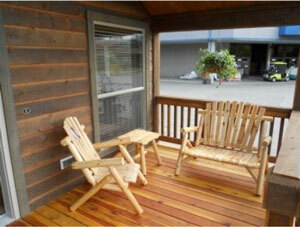 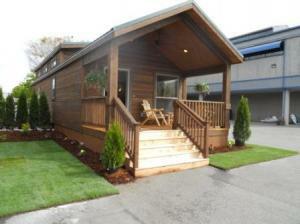 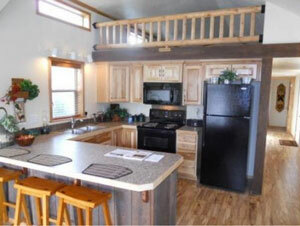 Copyright© 2002-2012 S & H Manufactured Homes Inc.